If someone else registered the towns website domain, then there’s a good chance that they registered themselves as the owner, not the town. Unless you spent some time researching domain name registrations, you wouldn’t know that all website domains (ie www.yourdomain.com) need to be registered with ICANN (Internet Corporation for Assigned Names and Numbers). And that whoever the person ICANN has listed in the Registered Contact is akin to being the owner of the website. If someone else registered the domain for you, then chances are pretty good that they registered themselves as the owner, not you. Due to this I recommend that every small municipality check the ownership status of their town’s website. You might be surprised to learn that your town is NOT listed as the owner. After that look at the Registrant Contact and the Admin contact. Both of these should have a Town Official as the contact along with the correct phone number, physical address and email address. Why having the website domain listed with a town official is important. Registering the website domain name is the digital equivalent to titling the plow truck in your name. I’m sure we’d all agree that putting your mechanics name on the truck title isn’t an option. And so naming your web designer as the owner to the town’s website shouldn’t be either. Chances are that nothing bad is going to happen, but why risk it? Because if something bad does happen, what would you do? How would you fix the issue without having ownership of the website. Especially since trying get names changed on a title without being the registered owner is very difficult. In most cases you hired someone who could understand the tech world to create the website for you. Maybe it was a friend, a coworker, or a professional designer. That person most likely registered the website in their own name because it saved them some time. They didn’t have to go back and change the contact info. Or maybe they receive bulk-discount pricing from their own domain service provider and had no intention of putting you as the contact. Or maybe they just didn’t know. The list of reasons why can be lengthy. But regardless of the reason, the contact information needs to be updated to reflect your town. If you aren’t showing as the contact, then reach-out to whoever is. Once you bring this to their attention then, it should be no big deal. 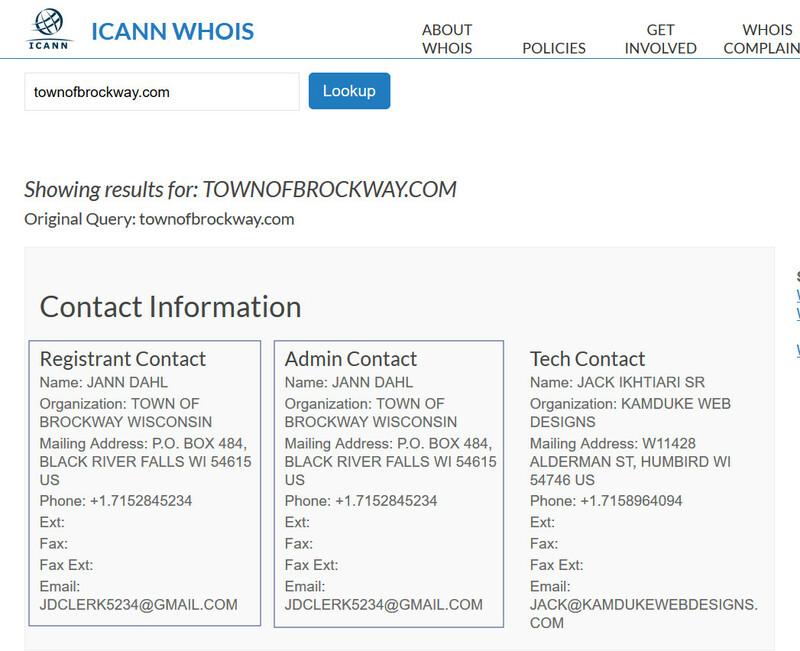 Within 5 minutes they can update the ICANN contact info to show your township and town official as the new registrant contact. Also, if you don’t already have them, ask for the access codes to both the Domain and Hosting provider. • The designer passed away. 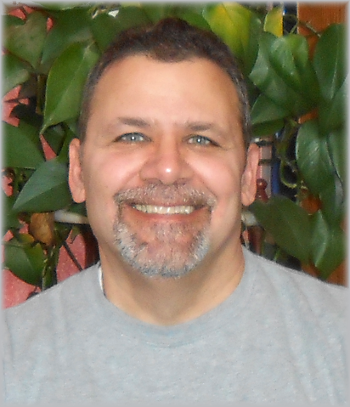 Clients can lose a domain because sadly the web designer passes away. In one case, the person was still building the website which he registered in his name. He also used a domain privacy service to hide his identity. Several attempts were made to reach-out to the grieving family and the domains registrar. But at the end of the day, the client had no choice but start all over with a new domain. • The website is held hostage. The trusted person you hired becomes unscrupulous. He begins charging you unreasonably high fees for every little change request. You notify him of your intent to switch to a different provider. He counters back by holding your website hostage. He says he owns the website because he built it and offers to sell it to you for $5,000 or he’ll shut it down. Technically if the domain is in his name he can get away with it. You would have to pay the ransom, start all over, or take your chances with the formal dispute process. (it does happen). • The designer disappears. When the person you relied on for so long quietly disappears or goes out of business then the annual registration fees stop getting paid. Since the domain is registered to someone else, none of the town officials ever get a reminder notice from the accredited registrar. As a result, the website stops working at its expiration. When the problem is finally discovered you’ll reach out to the designer with emails and phone calls. Unfortunately, all you’ll get back is the proverbial sound of crickets. The accredited registrar doesn’t know that the town officials even exist. They only know what is in their database which is the current registrant contact. Imagine going to the Department of Motor Vehicles and asking to transfer a title into your name without proof of ownership. Your contract (if you have one) or email receipts do not prove ownership unless it explicitly states registrant contact. You might plead your case with something like “Look at the website domain name, it’s the same name as my township”. You might say that you’ve had the website for 10 years now, that you got hundreds of hours in documents, posts, pages, and pictures stored there. Or what about all those documents with the town officials name on them, aren’t those proof enough? Sadly none those prove ownership. Unless you have the access codes, the current registrant will have to transfer ownership. If the current owner won’t play nice then you can file a complaint with ICANN using the Uniform Domain Name Dispute Resolution Policy. All the pages, posts, pictures, and even the website domain name itself does not prove ownership. Every website is registered with the Internet Corporation for Assigned Names and Numbers or ICANN. ICANN is the organization responsible for maintaining and coordinating the Internet Protocol (IP) addresses and the Domain Name System (DNS). The person or organization listed as the Registrant or Admin in the ICANN database owns the right to use that domain name. Visit the ICANN website and type in your website address. Make sure an official is listed as both the Registrant and Admin Contact. Also make sure the email listed belongs to you not your web designer. The aim of all locally elected town officials is to be responsible stewards of the town resources. The town website is one of those resources just as the towns plow truck is. There is no logical reason why the plow truck or the website should be registered to someone else. It really is an unnecessary risk. Especially since the solution is so simple and within just a few minutes your web designer (or current registrant) can name a board member as the new registrant. Something that should have been done from the onset. You’re welcome to reach out to me too if you need help. I’ll be happy to review your situation and offer some guidance. As a web designer one might think that my biggest challenge is visualizing the customer’s website design. But actually the design side generally progresses along pretty smoothly. The more vexing side I struggle with is having clients produce the content for their website.The owners I talk to can easily tell me in person all about their products or services. But as they start putting their thoughts to paper they grapple with trying to find the right words and tend to get stiff and formal in their writing. Part of creating websites for small businesses owners for me at-least is to help them root out the words that best describe their services while maintaining a natural flow ensuring they benefit for SEO purposes. I’ve been told I do a good job and I truly appreciate that but the truth is I’m really no different than they are, I prefer saying what I need to say face to face. Problem is that when your selling your services or products online with a website you don’t get that face-to-face luxury. You have to write something and unless you have a degree in linguistics or studied psychographics knowing what to say and how to say it is not easy. As much as I enjoy helping clients develop their content I knew I needed to get some help. So looked into a few courses and finally decided to go with a online training program called Brandgasm 101. I chose Brandgasm 101 because it’s “wallet-friendly” and a “two-fer”. You get two training programs in one package. There is a full course on copywriting to help people like you & I find the right words to say on our websites. Plus it has another full course on website design that teaches you how to make your site look good. As a web designer I really like that. Brandgasm 101 has 7 different sections following two tracks, a copy-writing track & and a design track. The tracks run tandem complimenting each other generously covering every element that you’ll need to bring your website to life. As I said each section is filled with examples, screen casts, with lots of templates that can be used immediately. Plus at the end of each section is an audio of the question & answer sessions they had when the program was delivered live.I downloaded and listen to them on my old zune (yep I still have one of those) while I was on the road. In total its over 5 hours of listening content, which to me at times was better than some of the written material. You get to hear not only the personality of the creators Ash Ambirge & Jamie Varon who are entertaining, and sometimes borderline crazy. But you get to hear their logic during the process of developing content or design. Another unexpected bonus was that they have an affiliate program. That means that if you decide to buy the Brandgasm 101 program then at no additional cost to you, Ash & Jamie are willing to pay me a commission. I’m not saying I’m suddenly turned into a literary genius because of Brandgasm 101 but I can say that it help me more than I expected. After going through the program I feel way more confident in my writing and was able to pick up some design tips along the way. It help me peel back some of the layers of my existing content and really push myself to understand how to write for my customers. The process was and is still challenging but it is also just what I needed to help me re-write my home page, my about page, and my service page. Plus I can add more value to my customers now by providing improved ghost writing services or providing more helpful tips on what they should be considering when writing their own pages. I know I’ve still got a few layers to peel back but I have to say Brandgasm 101 was worth every penny and then some. I’d happily recommend Brandgasm 101 to any of my clients or anyone else who is struggling to find the words that will propel their business forward. 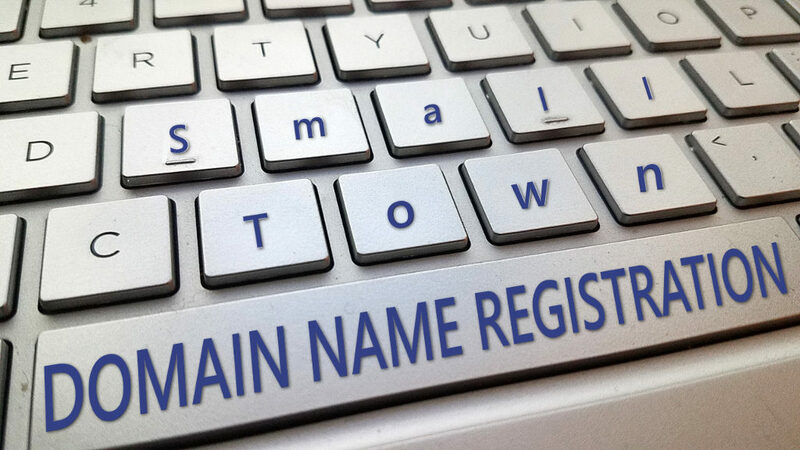 Domains – You need to register an official online name. I know you already have a business name, what you need is a .com, which will be the name of your website address. For example if your business name is Humbird Photography, then your online name could be humbirdphotography.com or humbird-photography.com or humbirdphotograpy.net, you get the idea. Check out the links below, they can help you come up with the perfect name. Once you get a name that makes you slowly nod your head, like yeah this is the one, then get over to QTH or any other registration company and get it registered pronto before anyone else can. Regardless of which service you use it shouldn’t cost you more than about $10 a year, sometimes its free if you also buy the hosting service along with it. Hosting Service – You also a need hosting service. Hosting is the physical place (servers) where the files for your website are stored and accessed from. Every website has to have this. I’d also recommend QTH which is a local company based out of LaCrosse, WI. Their support has been extremely good and the pricing quite reasonable. They are not the biggest company but they have proven to be resourceful and responsive to my needs which is something I really appreciate. There are plenty of other hosting companies out there like Blue Host, Host Gator, and Go Daddy and any of these companies are suitable to host your small business website. One thing I noticed with the bigger companies is they like to try and sell you something every time they make contact. Plus their support although good, can be a waiting game so you’ll need to be patient. Regardless of who you choose just make sure they have the C-Panel interface with the one-click WordPress installation. One last thing is stay away from the FREE hosting services it’s not worth it. Domains & Hosting are so reasonably priced these days that there is really no reason not to get your own .com address. Imagine how unprofessional it would be if my website was www.kamdukewebdesigns.freehosting.com. Plan on spending about $60 or less per year. Platform – Once you have your domain & hosting service you’ll need to decide which platform to use. A website platform is the type of software technology used for creating your website. It use to be that the only software technology available was programming languages like HTML, PHP, CSS, and JQuery. They are still used today but thanks to a new software technology like the Open-Source content management system called WordPress, websites can now be created with very little to no programming knowledge at all. WordPress has taken care of all the underlying code so you don’t have too. Plus it’s modular design allows users to build blogs and websites in a drag & drop style environment using themes, plugins, and widgets. Framework Theme – WordPress out-the-box is very powerful and in cases where very little customization is required like a simple blog or a church website then that should be all you’ll need. But if you are a small business who needs a specific identity then you’ll need something a little more than WordPress alone can provide. A Framework Theme in WordPress is a layer of additional-code that works in conjunction with the design theme allowing none-programmers to manage the structure, element, and design of their website. Because it works in conjunction with the design theme, the framework is referred to as the “Parent Theme” and the design theme is then referred to as the “Child Theme”. Together this Parent/Child combo is a robust website creation system that is perfect for small business owners. Premium Themes – Premium themes are similar to free themes in that they have ready-made designs but differ in terms of quality, and the number of design options over those hooks I mentioned earlier. Plus because the developers have a financial interest they tend to offer better support, better documentation, and more elegant designs which are more suitable to small business. In fact many of these premium themes are industry specific which can be a time saver. For example if you’re a photographer then you could purchase a ready-made theme professionally designed for photographers, just add content into the hooks it provides and you’ll have very nice looking website. Plugins – WordPress is an Open Source Software meaning it’s source code can be altered by the public so long as they adhere to the open source license. Programmers took advantage of this unique opportunity and began creating small programs that they could “plugged into” their wordpress website. The plugin allowed them to extend their websites functionality beyond the standard wordpress installation. They create image showcases, calendars, forms and so much more. And because it is open-source they shared their newly created plugins so others, like us, could use them without having any knowledge of programming, very cool! You can find these plugins at wordpress.org or access them through the plugin feature on your website dashboard. Plugins are optional, you don’t need them to create your website. As your skills progress and you want to start adding really cool features to your website then it’s time to start looking for a plugin. For example if you want a calendar of events, or a rotating banner, or an image showcase, or maybe a shopping cart to sell all your cool gadgets, then there is probably a plugin for that. Keep in mind that these plugin apps are made by programmers, some good, some not so good. It’s best to stick with those proven plugins which have a high number of downloads and with good ratings. The plugins I personally use on a regular basis are SmartSlider 2, Yoast SEO, Gravity Forms, Easy Faq and WordFence. Cost = $0 – $100+ depending on which one and how many you choose to use. Content – Above all else content is still king. No-matter how pretty or which bells & whistles you have, if the content isn’t useful to your audience then they’ll bounce. Content provides meaning and conjures up thoughts and emotions, which can lead to action. Content is why people visit you, and content is why they might come back. Writing content however is time consuming and can be one of the most challenging aspects of a website. I found a great website that teaches about copy-writing, they have a FREE guide that’s helped me and hopefully it can help you too. Also I’ve written enough now to where I feel ok about sharing some tips but I don’t consider myself a professional writer and only offer these few tips as someone who also had to struggle through the process. Don’t worry about order of sentences or paragraphs yet. Just focus on capturing your thoughts, you can re-arrange later if need be. Write from the heart, in other words just be real, don’t make things up to impress, stick to your knowledge base and stay in your lane. Mix in images when it makes sense, images are very powerful and help drive home your contents intent. People love stories so don’t be afraid to tell one, your audience are real people and the more they can relate to you the more likely they’ll trust you and either recommend or even purchase one of your products or services. As a rule don’t accept your first draft, instead re-write your content at least 4 to 5 times or more. On each revision try condensing. You’ll be surprised by how many less words you’ll need to convey your point after you write it over and over again. Learning Resources – I’ve assembled a number trusted resources about website design that will be a good starting point and hopefully save you some “scouring the internet” time. They helped me, and should help you too. Remember that this isn’t a race, its your business, take whatever time you need. Once you acquire your web design knowledge it will serve you well many years into the future possibly saving you thousands in the process. Before you get caught up in installing all the coolest bells, whistles, and gadgets take some time to learn about good web design practices. It’s not necessary for you to learn the details of domains and hosting. But if your curious here’s a few sites that should satisfy your curiosity and then some. Whats the numbers behind my domain name? The best way to learn WordPress is to watch a couple of quick videos then jump in and start getting your hands dirty. Add a new page, change your theme a couple times, play with each theme settings to get feel for how it all works. I’ve listed a few places where you can learn til your hearts content. The best way to learn is by doing. Install a free theme play with it, then do it again. Every theme will have slightly different controls with some more complex than others. As such each individual theme will have it’s own learning curve and usually provide some “help” documentation. It’s best to visit the developers website to learn more. You don’t need to be a graphics wiz but you will need to know how to resize images, change the file size, crop and rotate as needed. Hyper Text Markup Language and Cascading Style Sheets are tools programmers use to build and design websites from scratch. You don’t need to learn these to create your website but it if you do run into a situation calling for or using CSS or HTML then the following links will come in handy. Handy Resource listing of all the tools & services I mentioned plus a few more. 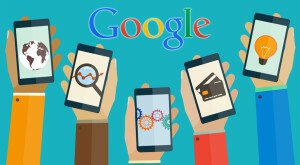 Google gives mobile users a thumbs up! Mobile devices have changed the way we communicate and interact with each other and Google wants to make sure they do all they can to give mobile device users a better search experience. At first glance this may not appear to be a big deal but when you consider that Google processes 100,000,000,000 query’s every month (yes that 100 BILLION! ), then it really is a huge deal! Those are real people like you and me scouring the internet for whatever we need at any given moment and Google knows that most of us will be doing those searches on a mobile device. What this means for businesses is that their website will need to pass Google’s mobility-friendly test or risk getting lost in the mobile device search-shuffle. For some companies who depend heavily on Google, it could mean that their organic search traffic might drop off the proverbial cliff, along with their revenue. A very scary proposition when you think about it. On the flip side if you’re a small mom & pop shop that already has a mobile friendly site then you could possibly rank higher than your bigger competitor. Even if you’re not mobile-friendly yet you still have an advantage because your smaller and more agile where as your bureaucracy riffed competitors can be slow to conform to the new requirements. Contact your webmaster to discuss your options. It may be that you only a few changes to your site to make it mobile friendly, and the worse case is you may need a complete redesign. Google has some resources that your webmaster can use to help guide them with ensuring your site is mobile ready. 1. You need an official name. I know you already have a business name, what you need is a .com, which will be the name of your website address. For example if your business name is Sam Jones Tire Repair, then your online name could be samjonestirerepair.com or sjtirerepair.com, you get the idea. Check out the links below, they can help you come up with the perfect name. Once you get the name that makes you nod your head, like yeah that’s it, then get over to qth or any other registration company get it registered before anyone else can. Should cost no more than $20 a year, sometimes its free if you also buy the hosting service along with it. 2. You need hosting service. Hosting is the physical place (servers) where the files for your website are stored and accessed from. Every website has to have this. I’d also recommend QTH because they are local and provide good customer service. Other popular services are Hostgator, and Bluehost. Any of these will work for you, just make sure they use the “cpanel” control panel, it will make it easier to manage. Cost for hosting will range in the $40 – $100 range for standard host service. If you plan on having an online store then it will be more. 3. A easy to use platform like WordPress where you can design and edit your website. WordPress is free. It is an open-source application, meaning it is free for anyone to use. It’s also fairly easy to get started, just use the cpanel from your hosting company to auto-install wordpress. It comes with some pre-made designs that are nice for playing around to get used to using it. Customizing so that it is tailored to your specific needs is trickier. If you have the time & patience then begin reading the wordpress documentation to get started. If however you have time constraints or just not interested in geeking out then I’d recommend you higher a professional to take care it for you. Cost will vary depending on what your needs are and which service you use. Why websites are good idea. What is your time worth? Sometimes I think small business owners under estimate how valuable their time is. If you take into account that you’re the one assuming all the risk, you’re the one creating jobs, you’re the one creating value for customers then your hourly rate might be between $100 – $300hr or more. As the leader of your business the focus should be on strategy, high-level planning, customer service, and all the other business functions that require your attention. 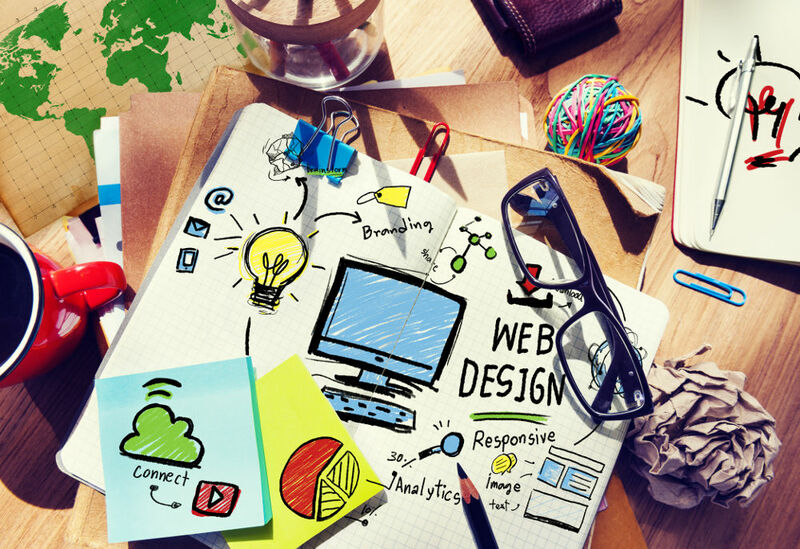 How long can you afford to shift your focus away from the business for a website project? Depending on the design requirements I can spend upwards of 20 – 80hrs on a single site from concept to launch. If it takes me that long, how long does it take the business owner to do it? Websites done by somebody’s nephew or the low-cost webmakers can be hit or miss and generally lack personality. Some WordPress themes are pretty good I have to admit but even then they can have a plastic feel to them if you don’t customize which requires some knowledge of html and css.. Working with a designer can add a nuance or what I like to call infusing your personality to your online presence. Webmakers like Weebly or Squarespace are very good for the Do-it-yourself kind of person and I encourage you to explore these options. If anything you’ll gain more insight into what goes into creating your online presence which will prepare you better for when the time comes to hire a designer. Just be mindful that despite the claims of how fast you’ll be up and running, even with these services good design and content takes time. I think sometimes owners approach getting a website as an afterthought because it costs money, but they have no problem shelling out hard-earned cash on old paradigms like yellow pages and newspaper ads every other month. A website is much more powerful than static media and when used correctly your website can help you build a targeted target audience to more effectively allocate your marketing budget. Compared to other similar services in the area my prices are low but my quality is high. I don’t have much overhead and I’m not dependent just yet my design services for income so I can do what I enjoy doing and provide a great service at fair price. Money is always a big concern. I’ve been there; I know it’s a struggle, heck I still work in factory to keep a steady income and insurance. At some point in the future you’re going to want make changes and since it’s in the future you’re not really sure when or what those will look like. So I’m going to make one up just to illustrate. So you’re business is fitness and you finally got your website up and running. Now you want to run a special advertisement to showcase your latest new members offer. You want a banner on your front page above the header in bright yellow, with a link to your special offer. The link will take them to a special’s page that shows details of the offer, pricing, and purchasing options. You also want a landing page submitted to search engines so that when someone searches “I need help losing weight and I live in Neillsville” your page comes up. The landing page is dedicated to just your special and gives the visitor the choice of purchasing or learning more details. Hard to do that with free or webmaker services.